If you are looking for the ultimate in high performance - the extreme performance packages are for you. Providing the maximum horsepower for the very discriminating and still providing dependability for daily driving. 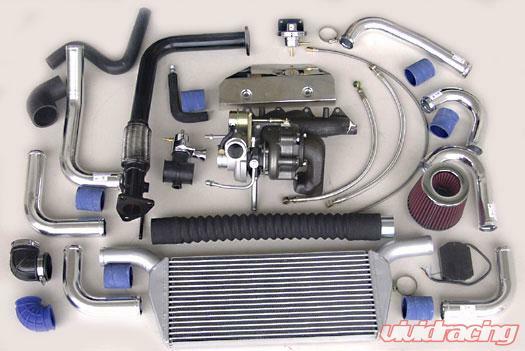 Incorporating all the high performance equipment in the superior performance packages, these extreme packages all include an intercooler, pop off valve, extra injectors, and injection control unit, (The Brain). This offers complete control for your system, increased fuel delivery, and cooler temperature gas air mixture for better burning. The addition of this system can add as much as an additional 20 percent increase in horsepower above and beyond the superior turbo packages. All images are used for marketing purposes only actual product may vary! TSI has been in business for over 20 years offering excellent products and support to the automotive industry, specializing in the Import Sport car market and side x side off-road market. TSI continues to improve their products now incorporating High tech fuel management systems with dyno tuning programs available.